A private complaint was filed before the Enquiry Commissioner and Special Judge, Thrissur (“Special Judge” for short) by one Biju Kochupaul against one Muhammed Nissam and 14 others including K. S. Balasubramanian (former State Police Chief, Kerala- “SPC” for short) alleging that the SPC and certain police officers had extended undue favours to Muhammed Nissam, a millionaire who had allegedly committed murder of one Chandra Bose, a security guard at the main gate of a posh residential complex called Shoba City where the said Mohammed Nissam was residing. In the said private complaint the complainant alleged the commission of the offence of criminal misconduct punishable under Section 13 (2) of the Prevention of Corruption Act, 1988 (“P.C. Act” for short) against 15 accused persons including the aforesaid Muhammed Nissam. 2. Since no specific allegations were made against accused Nos. 2,3,6,7 and 14, the Special Judge as per order dated 25-03-2015 directed the Vigilance Police to conduct a preliminary inquiry as against the rest of the accused including the SPC. 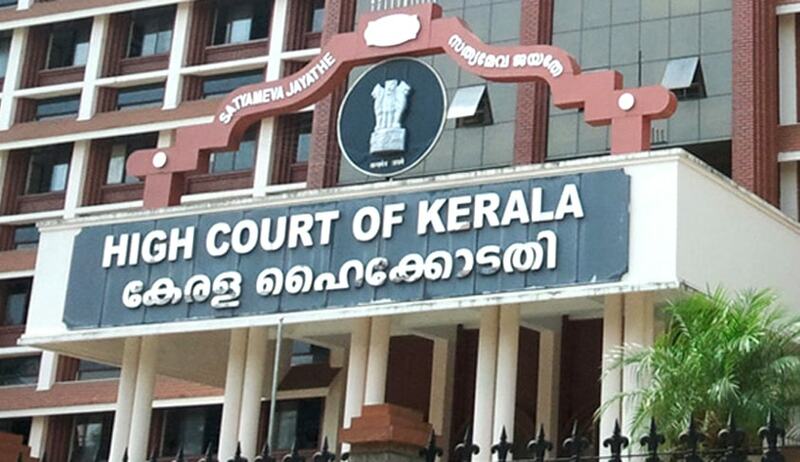 It was the said order which was assailed before the High Court by the SPC by invoking the inherent power of the High Court under Section 482 Cr.P.C.The High Court, as per the reported verdict has allowed the petition filed by the SPC holding inter aliathat the Special Judge, having dismissed the complaint as against some of the accused persons by invoking the power under Chapter XV of the Cr.P.C, went wrong in reverting back to the pre-cognizance stage under Section 156 (3) Cr.P.C. 3. I am afraid that the decision of the High Court cannot be legally supported. It is well settled that a preliminary inquiry which is a Judge-made procedure resorted to either by the Vigilance department in the Government or by the Special Judges, is to find out whether the given case merits the registration of a crime and commencement of investigation. The above procedure was first ordered by the Supreme Court in vigilance cases in P. Sirajuddin V. State of Madras (1970) 1 SCC 595=AIR 1971 SC 521.There is a similar procedure in vogue in the CBI Manual as well. When on receiving a private complaint, a Magistrate forwards the same to the police for investigation under Section 156 (3) Cr.P.C, the Magistrate is not taking cognizance of the offence since he does not proceed under Chapter XV of Cr.P.C commencing with Section 200 onwards. (Vide R.R.Chari Vs. State of U.P. – AIR 1951 S.C 207 (3 Judges); Gopal Das Singh Vs. State of Assam- AIR 1961 SC 986 (3 Judges);Jamuna Singh Vs. Bhadai Shah- AIR 1964 SC 1541(3 Judges);Devarapalli Lakshminarayana Reddy and Others Vs. Narayana Reddy and Others- AIR 1976 SC 1672 (3 Judges). The power to order investigation under Section 156 (3) Cr.P.C. can be exercised by the Court only at the pre-cognizance stage (vide- Suresh Chand Jain V. State of M.P – (2011) 2 SCC 628 =AIR 2001 SC 571; Ramashbhai Pandurao Hedau V. State of Gujarath- (2010) 4 SCC 185 etc). The stage of preliminary inquiry is even before the stage of exercising the power under Section 156 (3) Cr.P.C. In other words, it is only when the officer–in-charge of the police station who has been directed to conduct a preliminary inquiry, is satisfied after such inquiry that a cognizable offence has been committed, can he proceed to register a crime case and commence investigation. When the stage for exercise of the power under Section 156 (3) Cr.P.C. itself is prior to the stage of taking cognizance, the preliminary inquiry stage which is even prior to the stage of ordering investigation under Section 156 (3) Cr.P.C, does not involve the exercise of any power under Chapter XV Cr.P.C. and consequently there is no question of the Special Judge taking cognizance of the offence while ordering preliminary inquiry. “Can the Special Judge, after dismissing that part of the complaint as against some of the respondents, invoke the power under Section 156 (3) Cr.P.C, as against the rest of the respondents? The said question itself is misconceived. The Special Judge has not dismissed the complaint as against those respondents/accused persons against whom no preliminary inquiry was ordered. But strangely enough, the High Court has not only come to the conclusion that the Special Judge had dismissed the complaint as against some of the respondents / accused persons but has also located the power of dismissal under Section 203 Cr.P.C. which power can be exercised only at the post-cognizance stage. Reliance placed by the High Court on CREF Finance Ltd V. Shree Shanthi Homes (P) Ltd and Another (2005) 7 SCC 467=AIR 2005 SC 4284, was really misplaced. What the Apex Court had cautioned in that ruling was that after taking cognizance of the offence, it is impermissible for the Magistrate to revert to the pre-cognizance stage for exercising the power of ordering investigation under Section 156 (3) Cr.P.C. In the case on hand the Special Judge had not taken cognizance of the offence by proceeding under Chapter XV Cr.P.C. nor had he dismissed the complaint as against some of the respondents / accused persons. The Special Judge had not ordered investigation of the case under Section 156 (3) Cr.P.C as well. All that he did was to order preliminary inquiry as against some of the respondents / accused persons against whom alone there was specific allegation in the complaint. With regard to those respondents / accused persons against whom there was no specific allegation in the complaint, the maximum that the Special Judge could have done was to reject the complaint as against those respondents / accused persons. The Special Judge could not have (and has not in fact) dismissed the complaint as against them. 5. Dismissal of a complaint under Section 203 Cr.P.C. at the post-cognizance stage is not the only power available to a Magistrate for prematurely terminating the proceedings on a private complaint. If on the face of it, the complaint does not disclose any offence at all, the precious time of the Magistrate cannot be wasted by taking cognizance of the offence (what offence?) by proceeding under Chapter XV Cr.P.C. and finally dismissing the compliant under Section 203 Cr.P.C. The proper expression to be used for putting a stop to any action on such complaint at the pre-cognizance stage is “rejection” and not “dismissal” (vide- Biju Purushothaman V. State of Kerala 2008 (3) KLT 85. Even if the Court wrongly uses the expression “dismissal” at the institution stage prior to taking cognizance for want of even a semblance of an offence in the complaint, such dismissal can be treated as “rejection” ( vide- Raju Puzhankara V. State of Kerala and Others – 2008 (2) KLT 467. 6. The discussion at paragraph 6 of the reported decision would suggest that if the Court were to apply its mind, then necessarily the exercise of power should be one under Chapter XV Cr.P.C. There lies the fallacy behind the Judicial comprehension. Application of mind is an exercise which every authority invested with judicial, quasi-judicial or even administrative power, has to perform. Without knowing the purport of the petition received, it is not possible for any functionary to decide as to what action should be taken on the petition. In the case of the judicial act of taking cognizance of an offence, the application of mind by the Magistrate or Judge should be for the purpose of proceeding under Chapter XV Cr.P.C. That is the fine distinction made by the Apex Court in the four three-Judge Bench decisions already adverted to. 7. In my humble view, the reported verdict of the High Court does not reflect the correct legal position and is bound to embarrass the Special Judges exercising jurisdiction under the P.C.Act. Justice V.Ramkumar is a Former Judge, High Court of Kerala. The opinions expressed in this article are the personal opinions of the author. The facts and opinions appearing in the article do not reflect the views of LiveLaw and LiveLaw does not assume any responsibility or liability for the same.